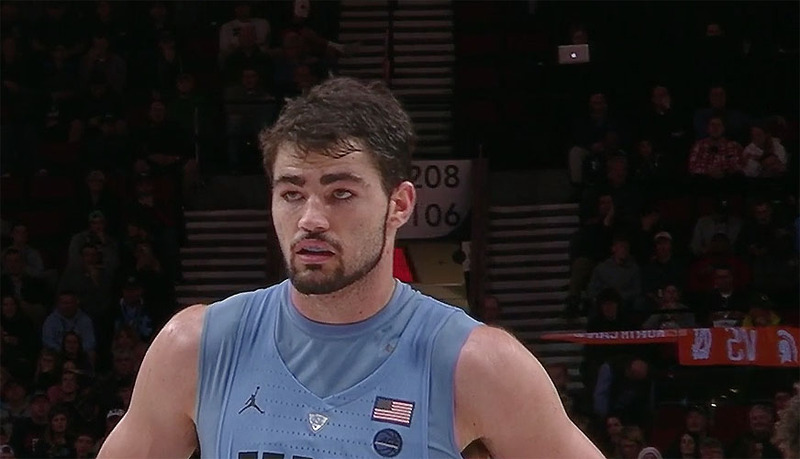 CHAPEL HILL, N.C., Sporting Alert – Luke Maye scored 22 points and No. 13 North Carolina eased to a 97-73 win over Tulane on Sunday. The Har Heels (8-1) led 52-29 at halftime and then maintained their advantage throughout the second half to seal the win. Maye, who shot 8 of 12 from the field, recorded his fifth double-double of the season by adding 10 rebounds and he also had four assists and four blocks in the win. Joel Berry II and Kenny Williams finished with 13 points apiece, with the latter also grabbing six rebounds to help the Tar Heels win their third straight after losing to Michigan State in the PK80 on Nov 26. Melvin Frazier led the way for Tulane (6-2) with 27 points, five assists and two steals. Cameron Reynolds ended with 18 points on 8 of 15 shooting to go with five rebounds and four assists, while Jordan Cornish finished with 12 points in the defeat. Caleb Daniels scored 11 points for the Green Wave, who were losing for the second time in three games after beginning 5-0. As a team, North Carolina shot a season-best 65.5 percent on 38 of 58 shooting, while outrebounding Tulane 43-22 on the day. It “maybe our best defensive half of the year,” North Carolina coach Roy Williams said. Forward Theo Pinson, who scored nine points and had four rebounds added: “That was the key that (Williams) put on the board: Let this be our best defensive game all year. The defending national champion who never trailed and made 19 of its 26 shots in the first half, scored an impressive 62 points in the paint and outscored the Green Wave’s bench 32-13. The Tar Heels got going early and built a double-digit lead that went as high as 32 with 4:31 left in the game. Tulane shot 38 percent from the floor overall, but was almost 46 percent in the second half and was only scored by one points, 45-44. “Obviously, they’re NCAA champions and today they played like a team that has that pedigree,” Tulane coach Mike Dunleavy said. Tulane: Hosts Southern on Wednesday. North Carolina: Entertains Western Carolina on Wednesday night.